What’s worse that not being allowed to have real wedding candles at your wedding reception? Fire. 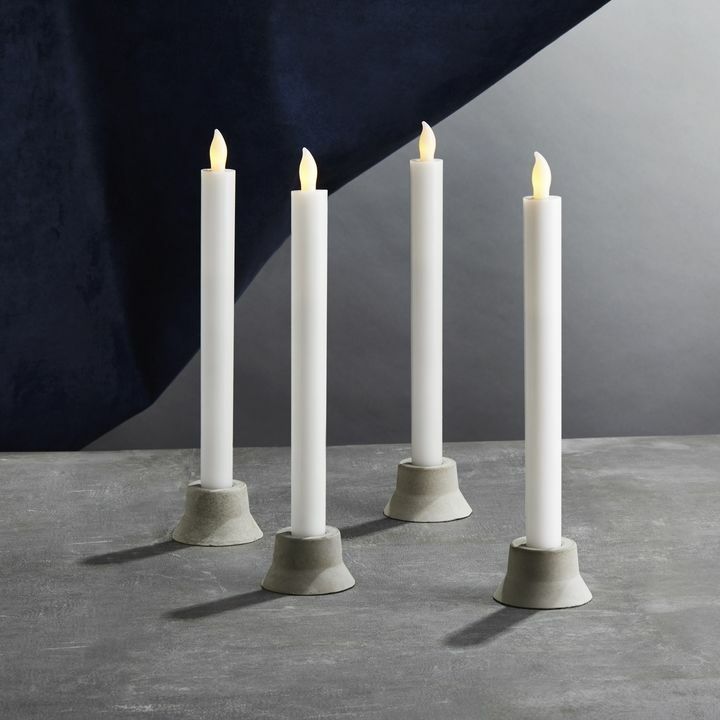 Venues are turning en mass away from traditional wick candles for a good reason- burning the place to the ground is a real risk when you combine an open bar and open flame. Also, who wants to scrape wax off the table linens? First, let’s get the real question out of the way. 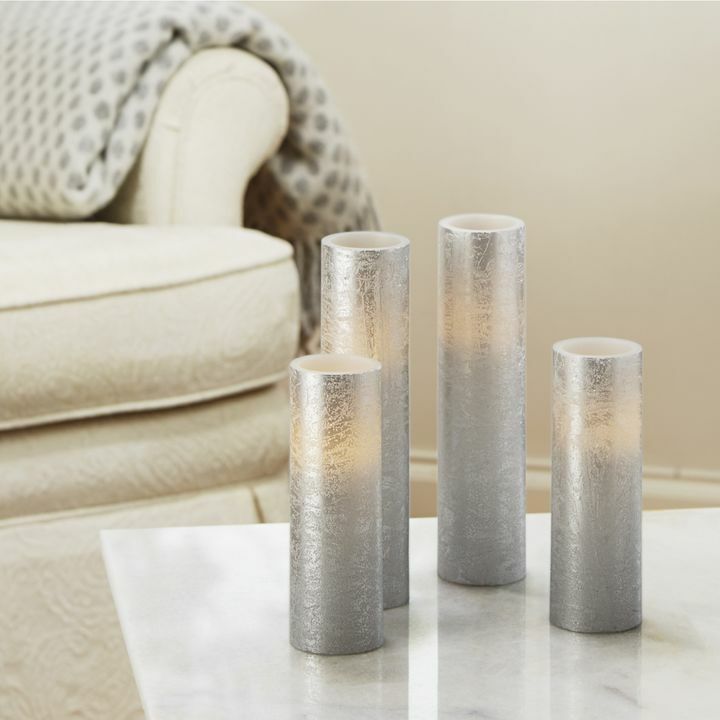 Flameless Wedding Candles aren’t on fire, but they can absolutely still give you the romance without the mood-killing insurance liability. 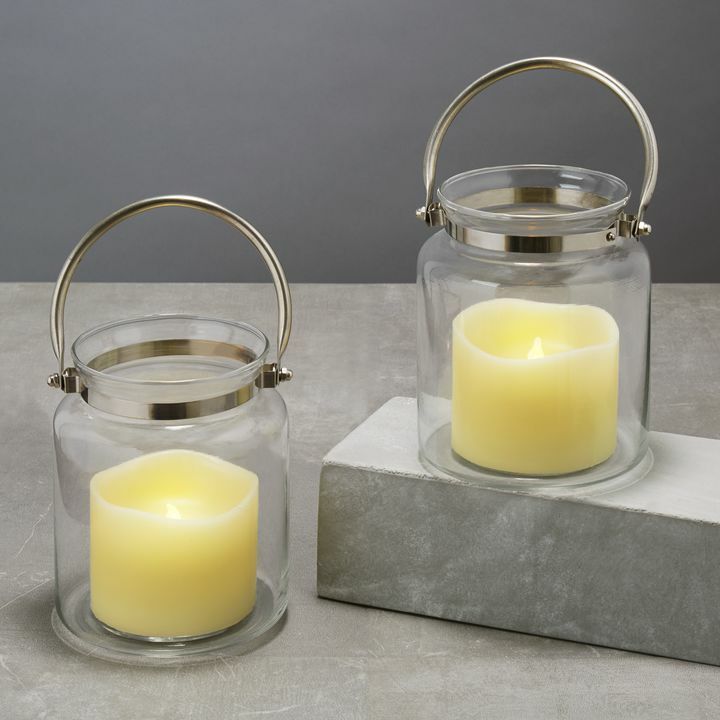 Flameless candles have have a natural flicker, their glow can be warm and buttery, and if the plastic wick puts you off- choose a hidden wick. 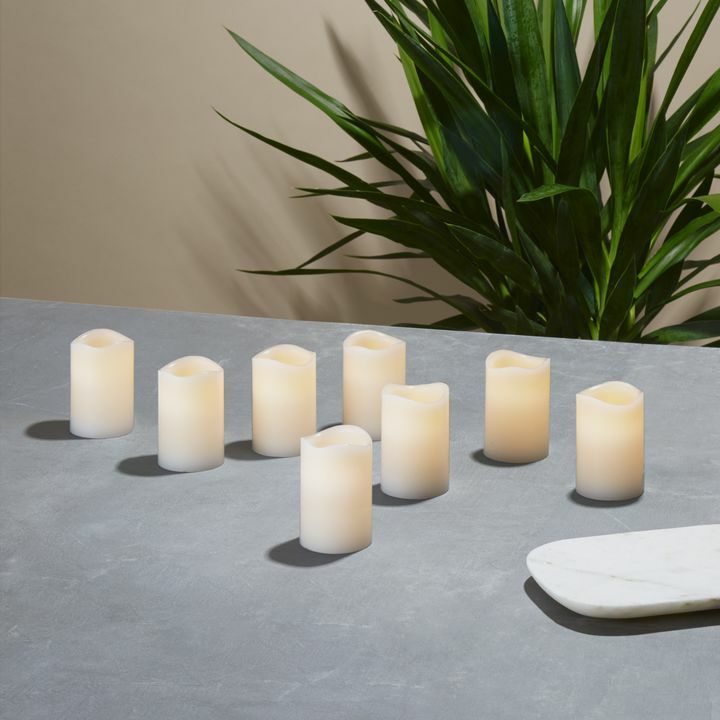 Bonus: flameless candles won’t stink like burning wax, or randomly go out, or burn Uncle Jimmy when he’s reaching for another dinner roll. What you give up in smoke and wax drippings, you get back in class and versatility. 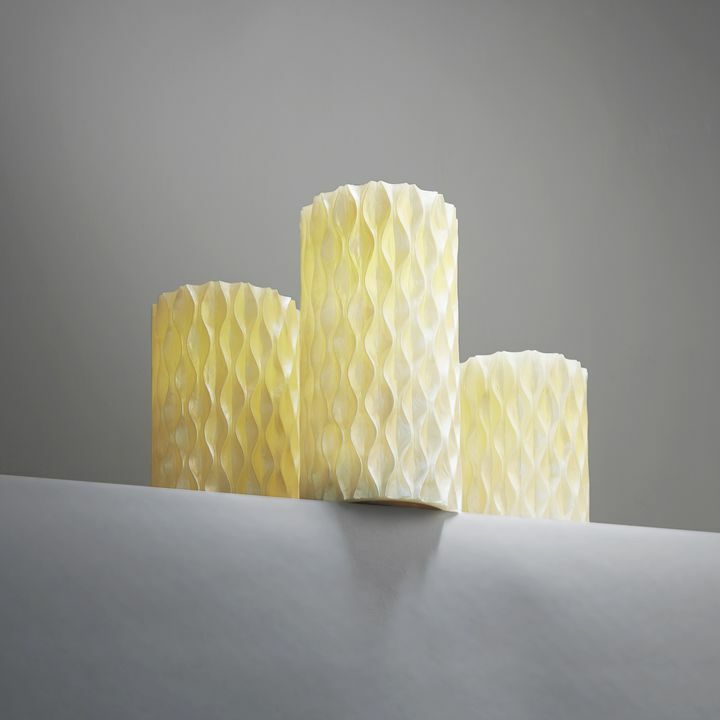 Flameless Wedding Candles can fold into any theme and reflect however formal you intend to be. 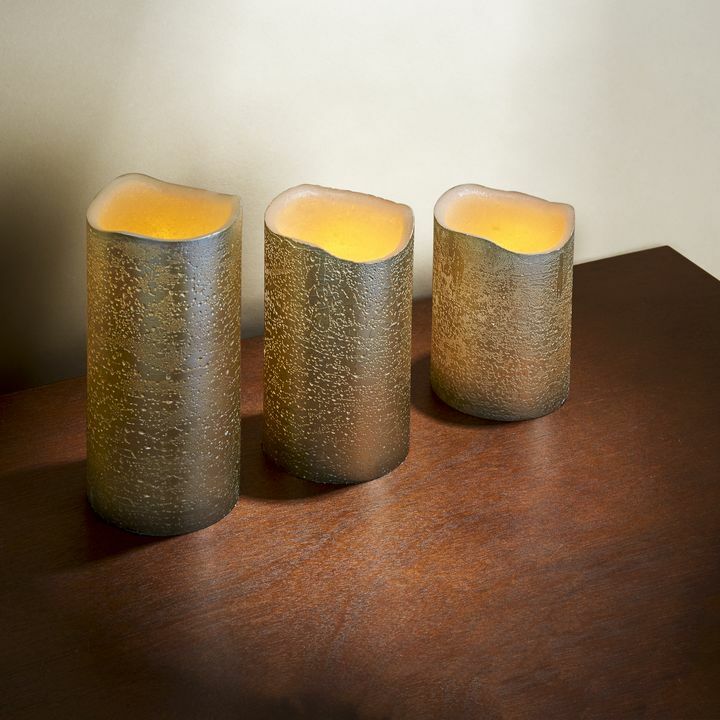 Wedding candles can be a decor focal point or be an understated, complimentary addition. 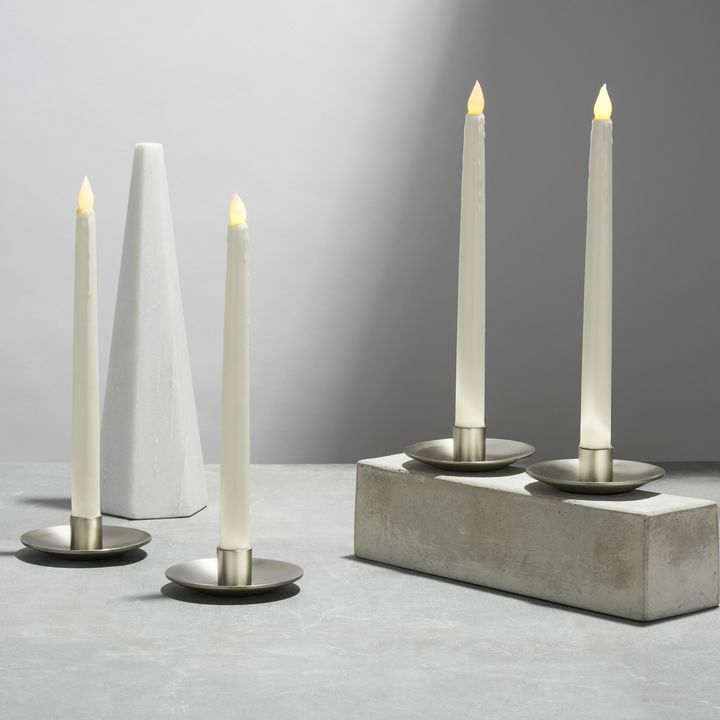 You can choose something ultra traditional or have a little candle light rebellion without any of the limitations of open flame. Timeless, traditional weddings call for lots of light. 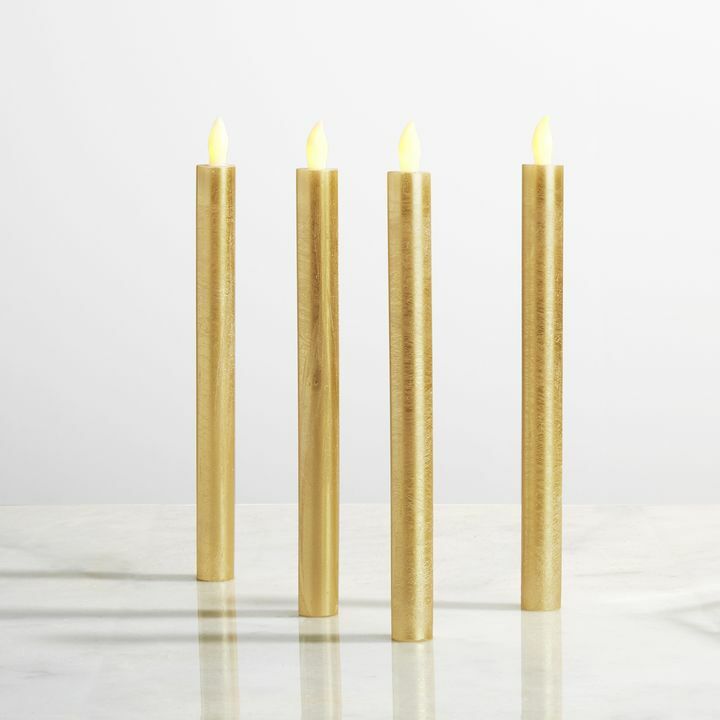 Line the aisle and alter with flameless candles that won’t go out (or singe your veil). 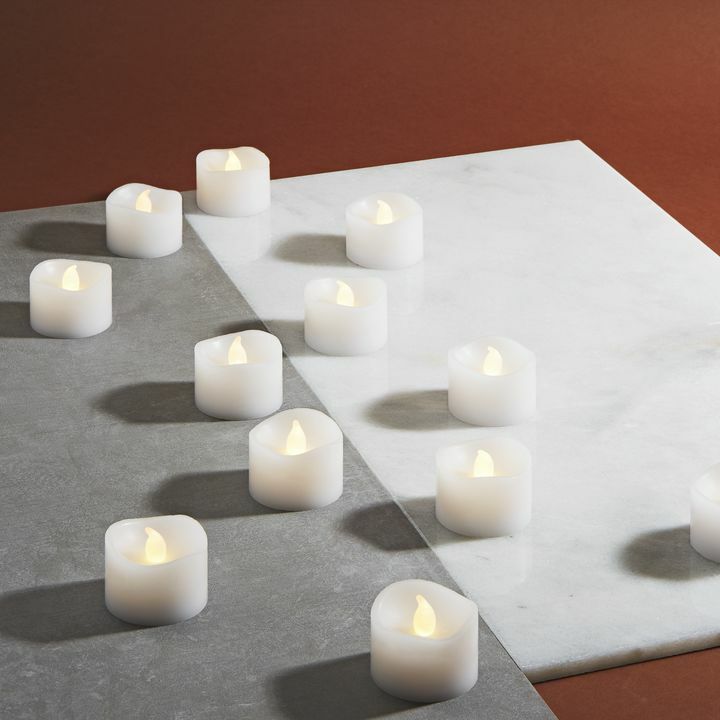 The large Touchstone Ivory Flat-Top Flameless Pillar Candles provide drama without standing out. 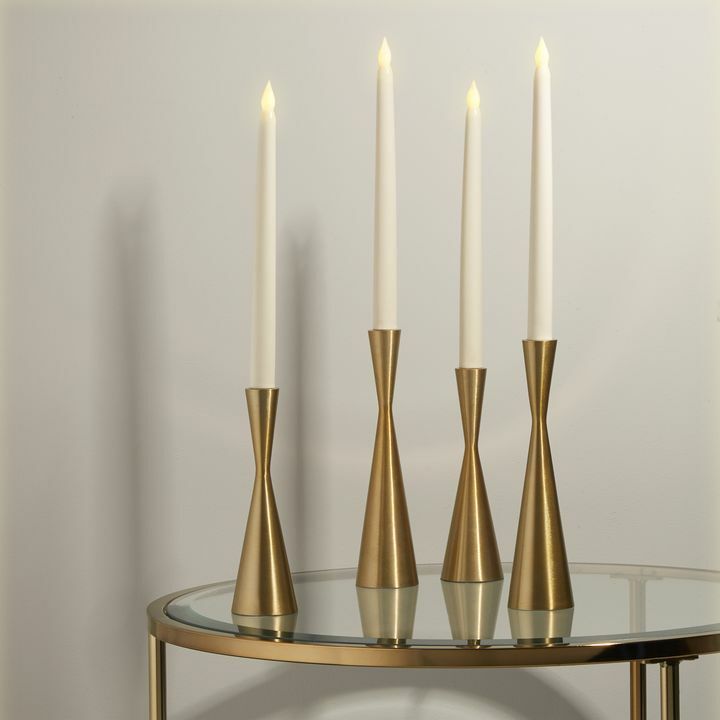 Insert some classic glamour the reception’s dinner and include taper candles in the centerpiece displays. 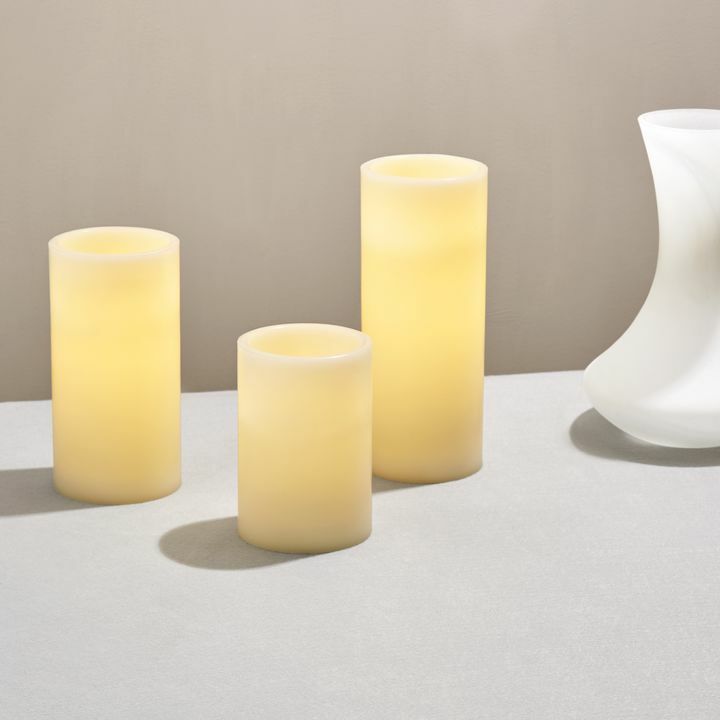 Classic Ivory 10" Wax Flameless Taper Candles come in sets of 100 and fit into almost all standard taper candle holders. 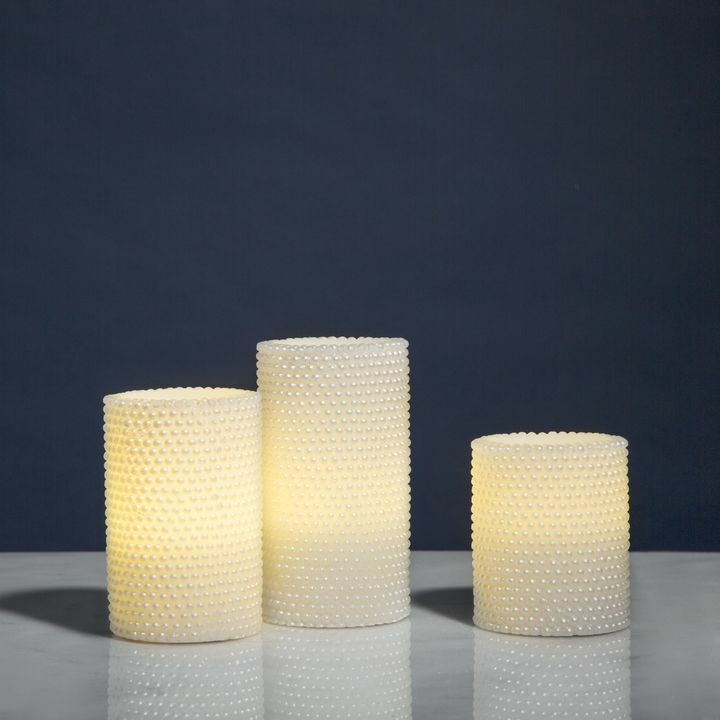 A single flameless candle in a old fashioned glass at each place setting can turn plain wedding white china into something personal. 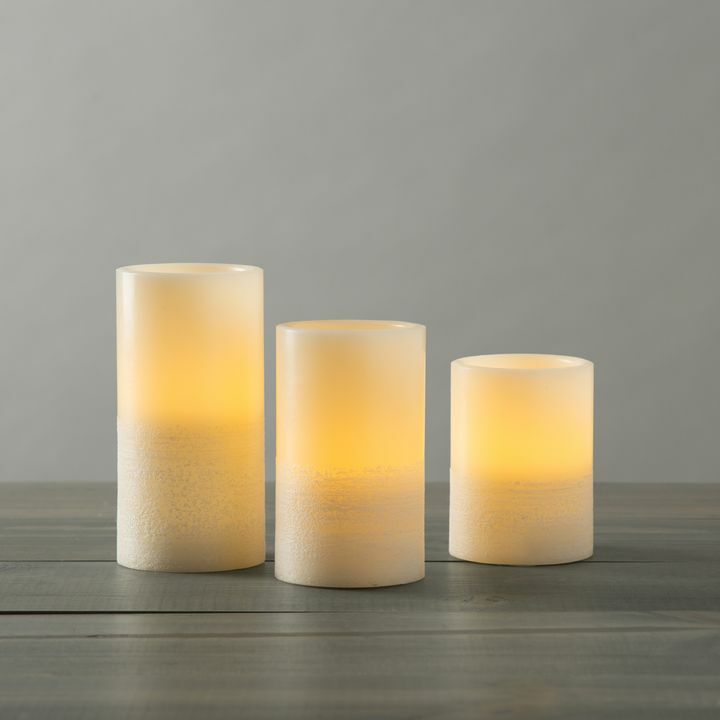 Alma White Flameless Tea Lights are standard tea light size and perfect for guests to take home as little favor as a reminder of your perfect night. Simple small bites, brick and glass, nothing but white flowers and champagne. 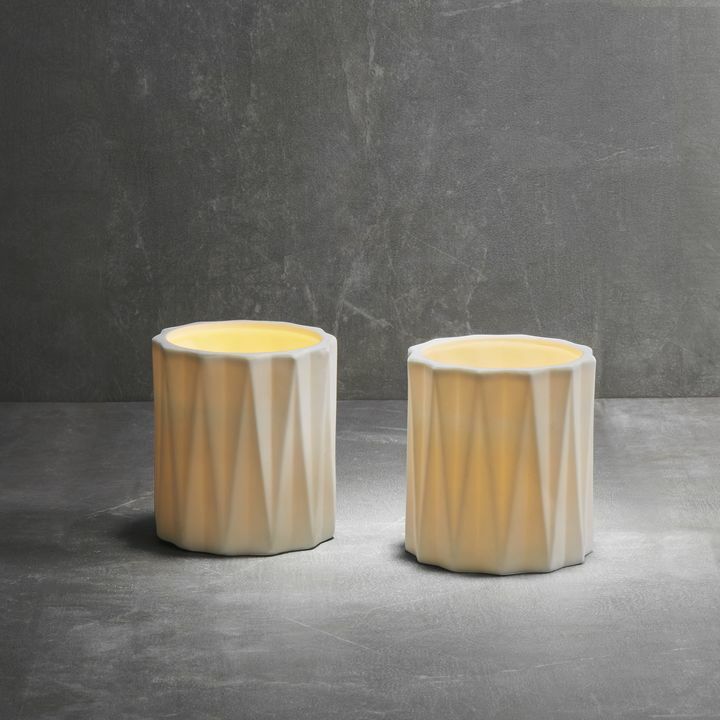 An urban loft wedding overlooking the skyline needs wedding candles that aren’t intended to compete with skyscrapers. 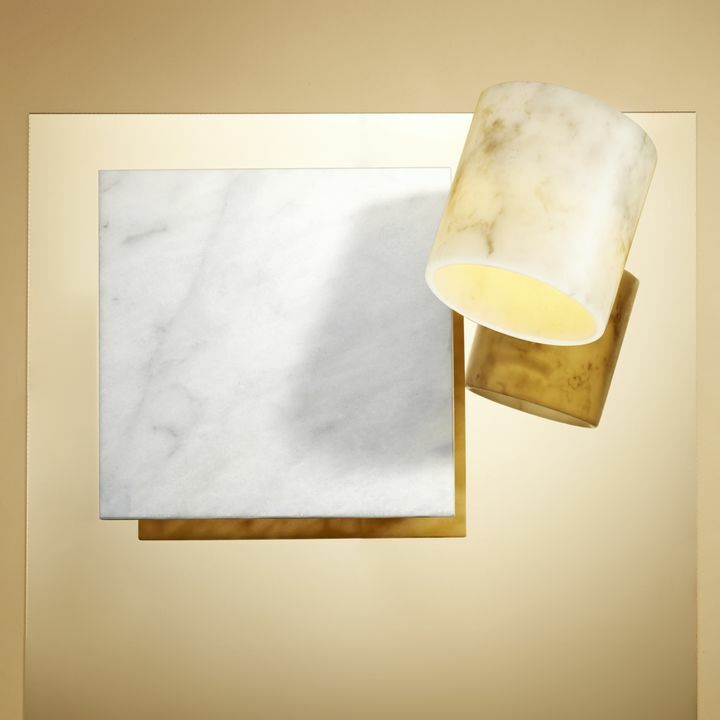 Choose simple, classic shapes in white. 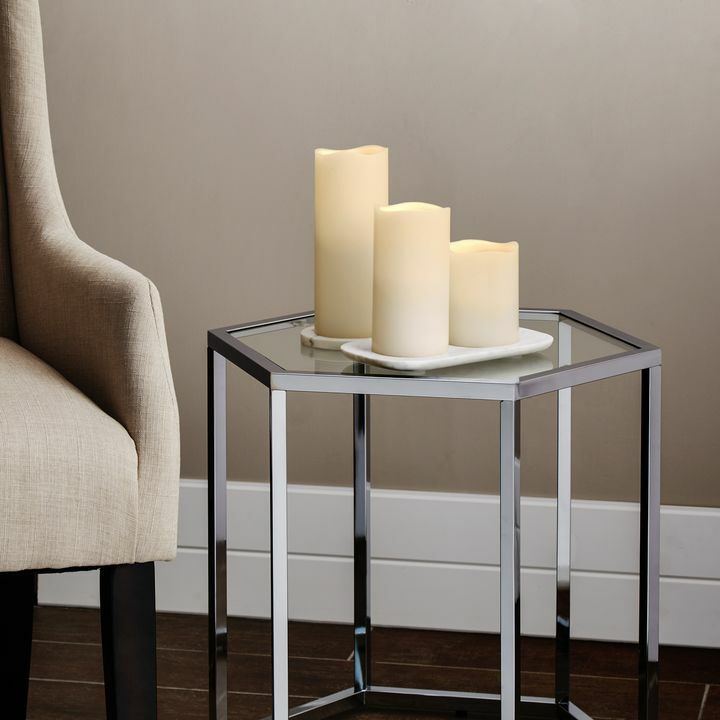 Add clusters of flameless candles in different heights to corners of window sills and on the tops of standing cocktail tables. 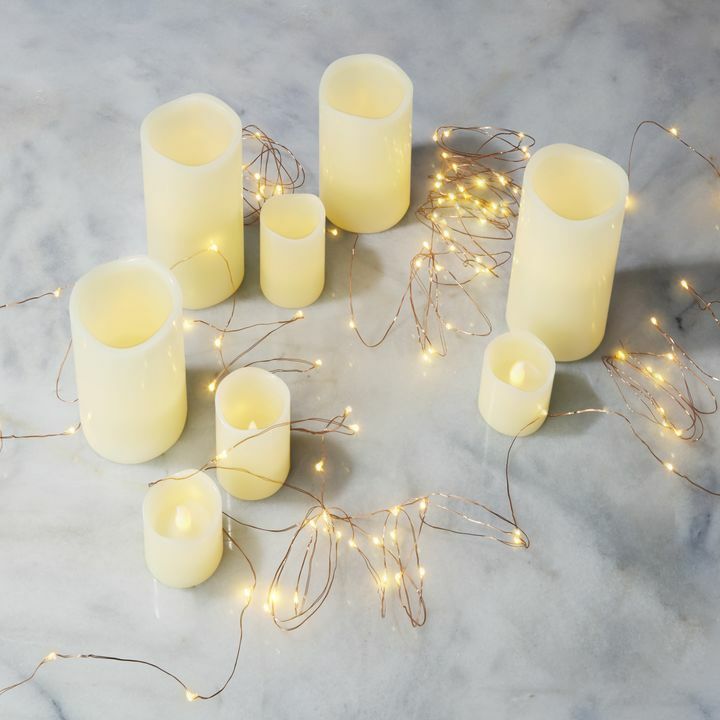 Leila White Melted-Edge Slim Wax Flameless Candles layer well with Signature White Melted Edge Pillar Flameless Candles and Nina White Melted Edge Votive Flameless Candles. 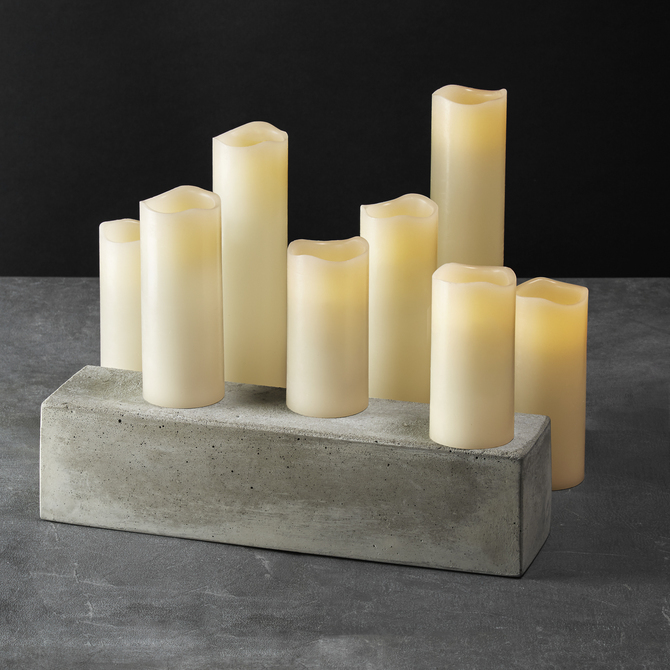 By grouping flameless candles in different heights and widths together, you can add texture while keeping the simple, clean vibe. This is a celebration of what’s special about you- your love, your family, your friends, your wedding. 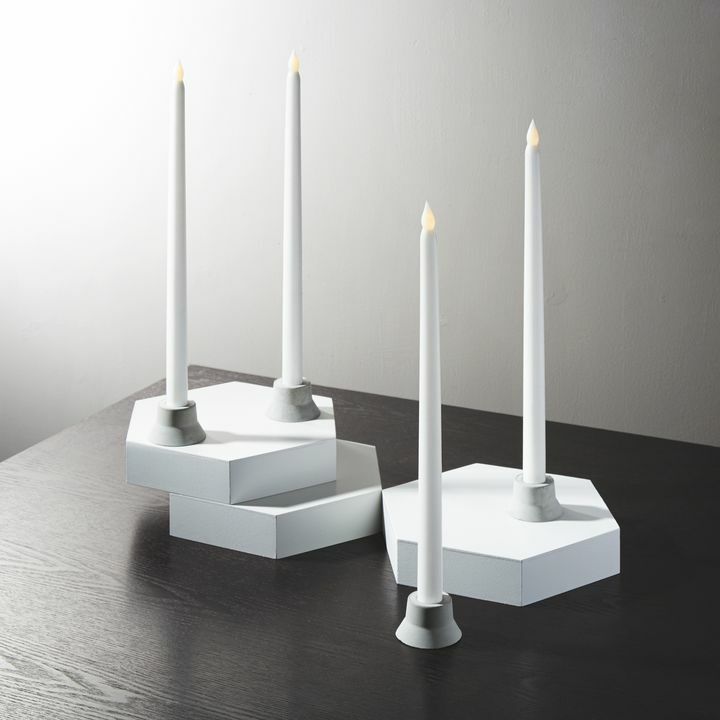 Choose wedding candles that add to the eclectic, atmosphere. This is the time to stay away from stuffy standards. 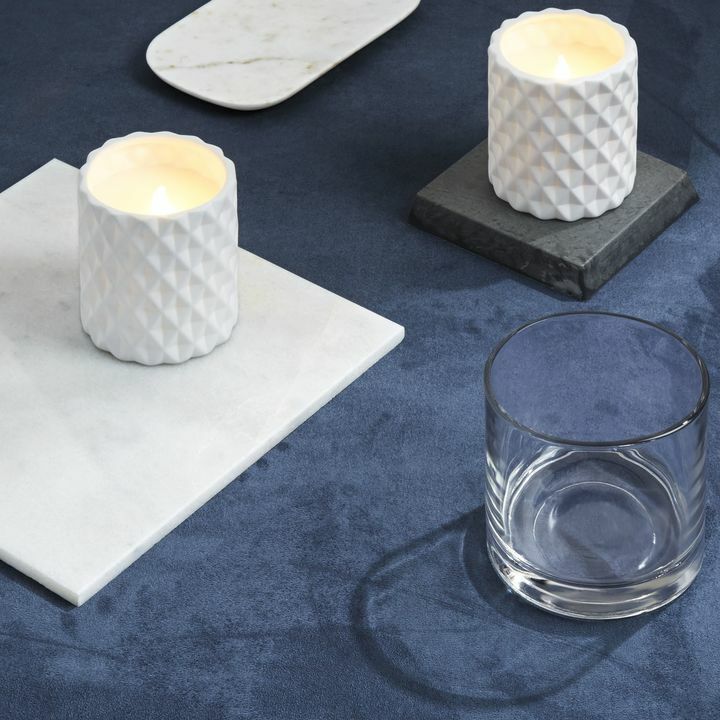 Try candles that you can personalize, like Verve Matte White Flameless Candles or the Breo Matte White Flameless Candles, made from poured wax into customizable ceramic shells. 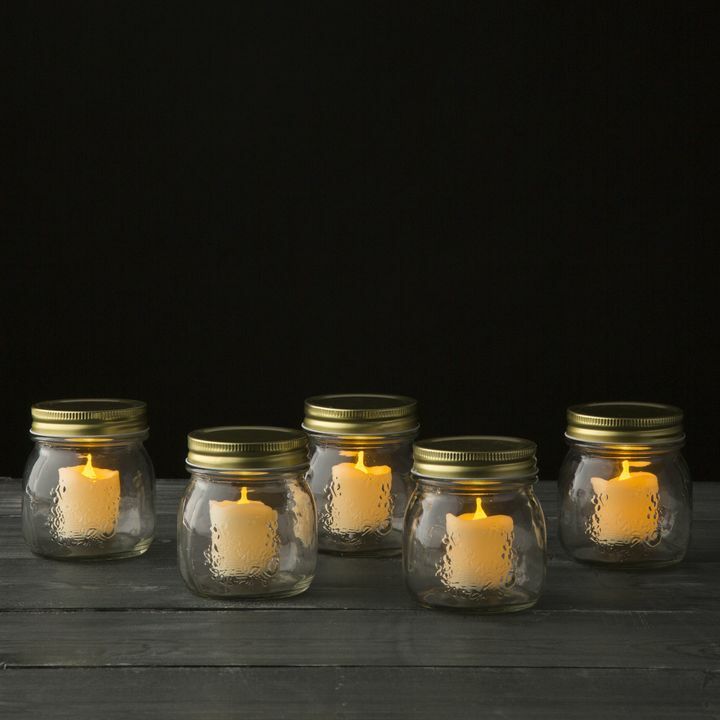 For some summer magic, go beyond wedding candles and include lit decorations like lanterns or mason jars with fairy lights. 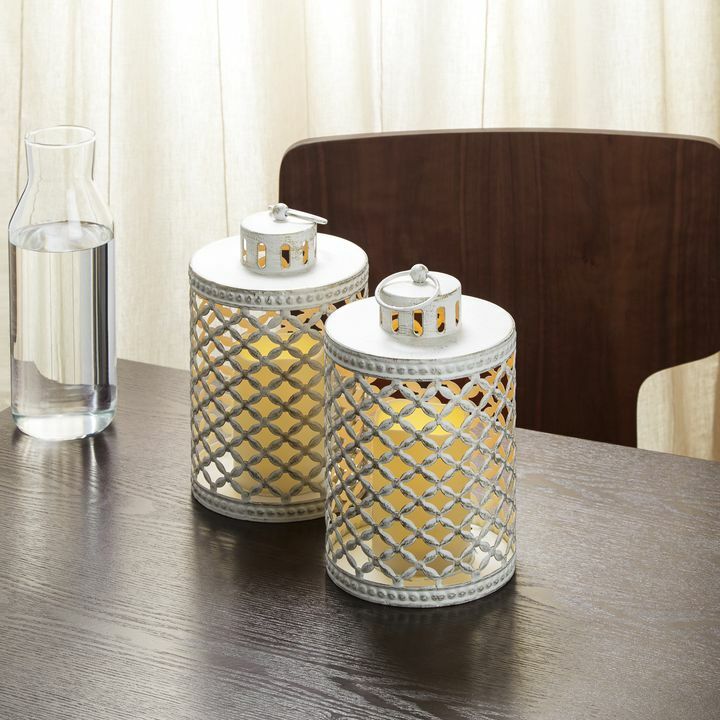 For the best effect, set different sized jars (like the 30 LED set and the 20 LED set) all around the green space in twos and threes. 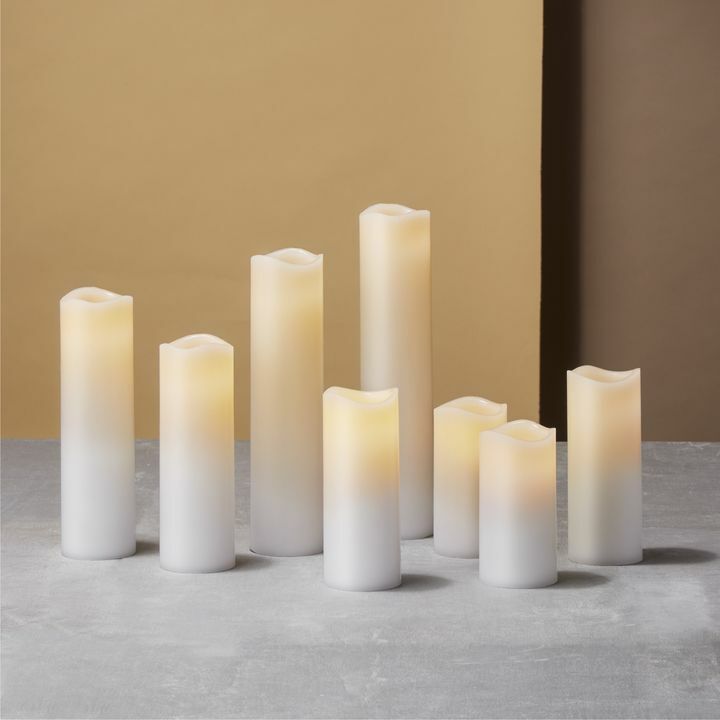 Wedding Candles bring the energy to and warmth to the wedding decor, regardless if you’re going for a picnic with pie or a four tiered cake in a grand wedding hall. 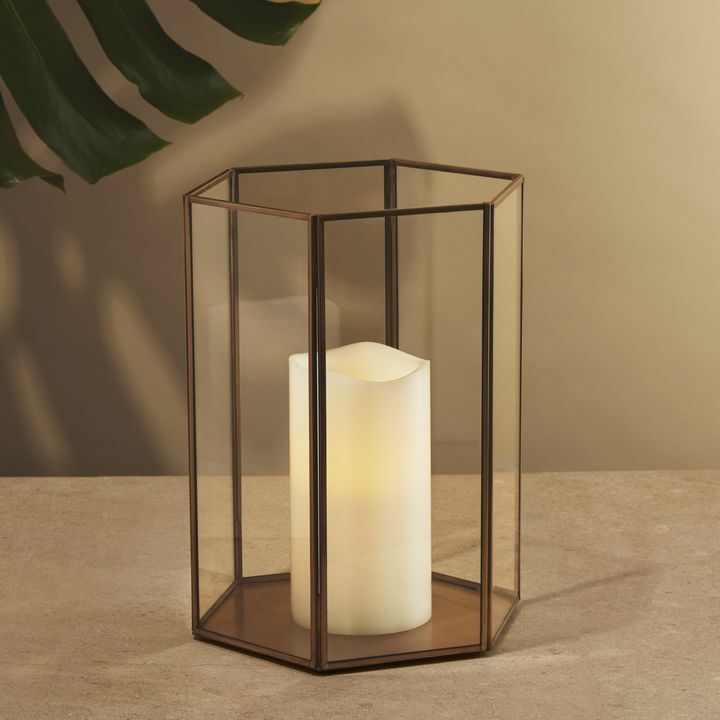 Flameless candles and lit decor offer the kind of versatility that can accommodate each couple’s vision while keeping things safe, clean, and lit all night long. Skip the smoke, skip the mess, give your weird cousin something to steal, and make your linen rental place happy- everybody wins.